Top Notch Ballyard Mixes. Less Maintenance. More Baseball. 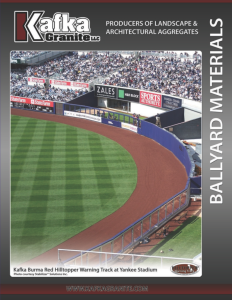 In recent years, Kafka Granite has become a proud manufacturer of a variety of premier baseball and softball materials. 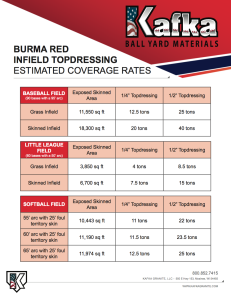 We take pride in offering quality infield mixes, warning track mixes, and mound clay solutions suitable for all price points: from the little league to the major league. Why use Kafka Granite’s ball yard material? 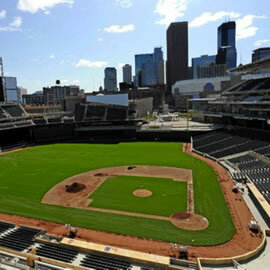 Kafka Granite is proud to offer premier baseball and softball materials. Our ball yard materials are high-quality decomposed granite solutions that have the durability to withstand a variety of environments, from little league to major league. 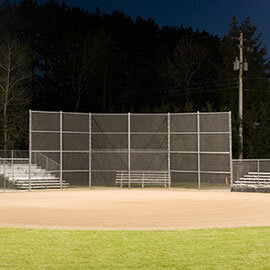 We take into consideration your budget and will help find you the quality solution you need for infield mix, warning track mix or mound clay. When you work with Kafka, you can rest assured you’ll be receiving quality aggregate. Our standard, stabilized and Hilltopper mixes will make your ball field stand apart from the rest as well as provide a stable and safe surface for playing America’s game. Where can I use Kafka’s ball yard mixes? Our ball yard mixes are available to outfit every part of your field—the infield, warning track, batter’s box, and pitching mound. 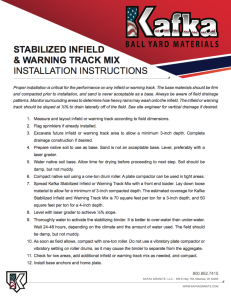 We offer standard infield and warning track mixes, stabilized infield and warning track mixes, and a Hilltopper infield, warning track and mound clay. Our variety of mixes are the best solutions available for your ball yard’s needs, whether you need to build a field from the start or simply give it a fresh coat with a topdressing. What is the difference between ball yard mixes? Ideal as an infield’s fresh topdressing or as your warning track mix. Made from DG and crushed to a size that allows for maximum permeability and stability. The warning track mix is coarser than our Burma Red Infield Topdressing to give an extra “crunch” under foot. As premium derivatives of our standard ball yard mixes, this decomposed granite-based mix is pre-blended with a stabilizing organic binder. It retains moisture, requires less maintenance and virtually eliminates mud. Ideal for a new infield or warning track. Available in Burma Red, Red Cedar and Ruby Red Granite. 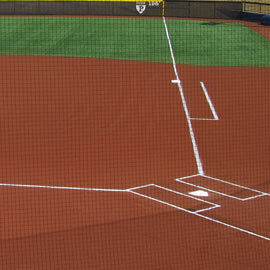 Hilltopper mix is ideal for the infield and warning track. Hilltopper mix is made from Kafka’s standard Burma Red DG and a water-shedding polymer created by Stabilizer Solutions. This state-of-the-art mix renders fields waterless, dustless and mud-free. No need for watering and is crushed to the perfect size for stability and ball-hops. Hilltopper Mound Clay is also available, which offers the same water-shedding and durable qualities of our infield mix and warning track mix, but with a clay suitable for pitcher’s mounds, batter’s boxes, and more.